Lai et al. present comments on our article, entitled “Increased risk of developing psychiatric disorders in children with attention deficit and hyperactivity disorder (ADHD) receiving sensory integration therapy: a population-based cohort study” . They propose that our study failed to address the effectiveness of sensory integration (SI) therapy for children with ADHD. They challenge our study design, although they fail to indicate that SI therapy is not currently in the clinical practice guidelines from the American Academy of Pediatrics for the treatment of ADHD. To date, there is still no clear indication of how often or with what dosage a child with ADHD should receive SI therapy to demonstrate the treatment effectiveness. Dr. Shu-I Wu and Dr. Fung-Chang Sung contributed equally to this article. RS is part-funded by the National Institute for Health Research (NIHR) Biomedical Research Centre at South London and Maudsley NHS Foundation Trust and King’s College London. Authors declare no financial or personal conflict of interest with a third party, whose interest would influence the article’s contents. Charach A, Dashti B, Carson P, et al. 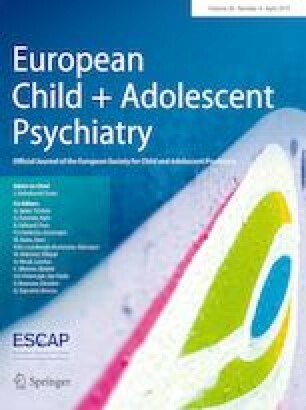 (2011) Attention deficit hyperactivity disorder: effectiveness of treatment in at-risk preschoolers; long-term effectiveness in all ages; and variability in prevalence, diagnosis, and treatment. Comparative Effectiveness Review No. 44. (Prepared by the McMaster University Evidence-based Practice Center under Contract No. MME2202 290-02- 0020.) AHRQ Publication No. 12-EHC003-EF. Rockville, MD: Agency for Healthcare Research and Quality. October 2011. https://www.effectivehealthcare.ahrq.gov/reports/final.cfm.